When an immigrant from the Mediterranean island of Sicily arrived in Fresno around 1905, he found the summers brutal. Yet the intense sun was part of the point for Baldassare Forestiere, then in his 20s, who had visions of creating a grape and citrus empire in the fertile soil of the San Joaquin Valley. He bought 70 acres — sight unseen. But when he put his shovel to the dirt he quickly realized he’d made a terrible mistake. The ground was like brick, too unforgiving to grow his crops. Then, for reasons no one fully understands, Forestiere started digging — and digging and digging and digging. 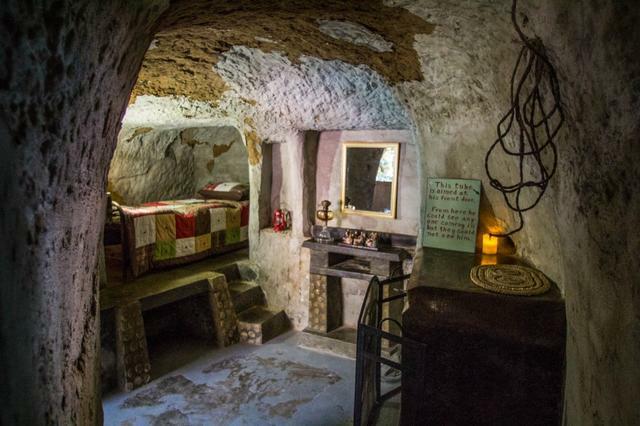 For 40 years he carried on, until what started as a cellar where he would seek refuge from the afternoon heat grew into a spectacular subterranean palace with passageways, living rooms, patios, a chapel, and a simple earthen home. Forestiere became obsessed by his innovation of below-ground living as an answer to the valley’s intolerable summers. In time, he aspired to make the home into a resort for all Fresnans. 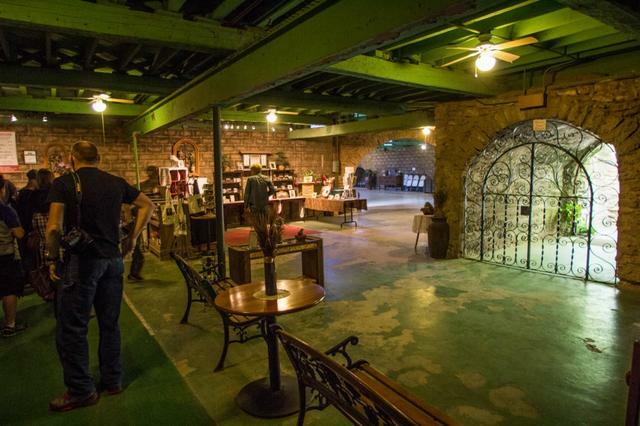 He added underground grape vines, fruit trees, and even a glass-bottomed fish pond. “The visions in my mind overwhelm me,” he was quoted as saying. 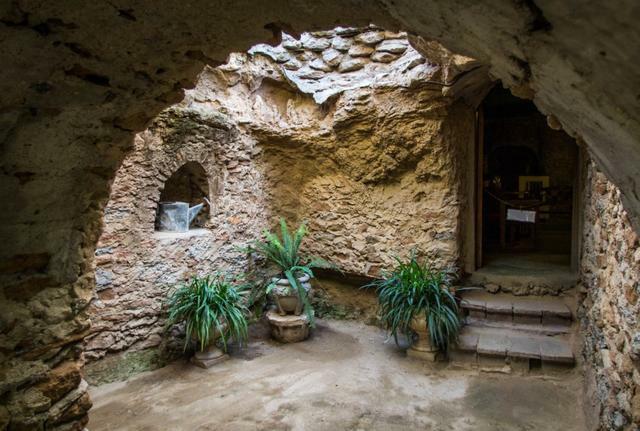 Huell Howser visited Forestiere Underground Gardens during a 1994 episode of California’s Gold. The ambitious immigrant with broken English baffled locals. 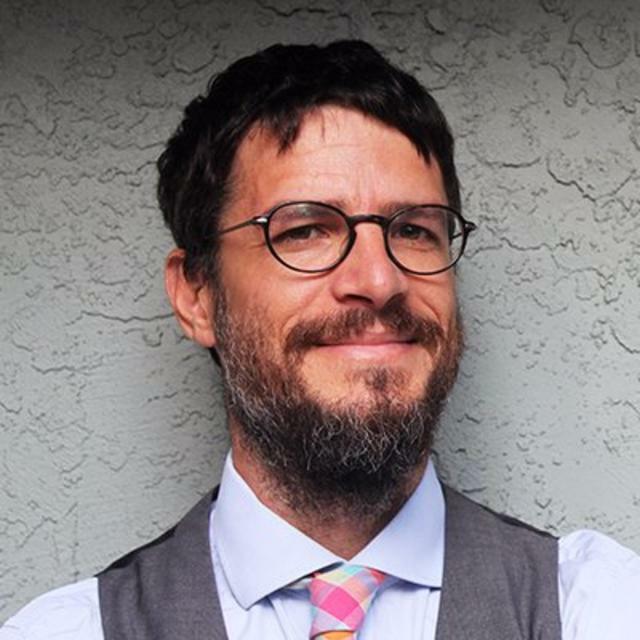 Some people traded rumors that he was tormented by the unrequited love of a woman, a theme taken up in a novelist’s fictionalized account of Forestiere’s life in the New Yorker in 1998. The real Forestiere was indeed a lifelong bachelor. He died in 1946 at the age of 67. 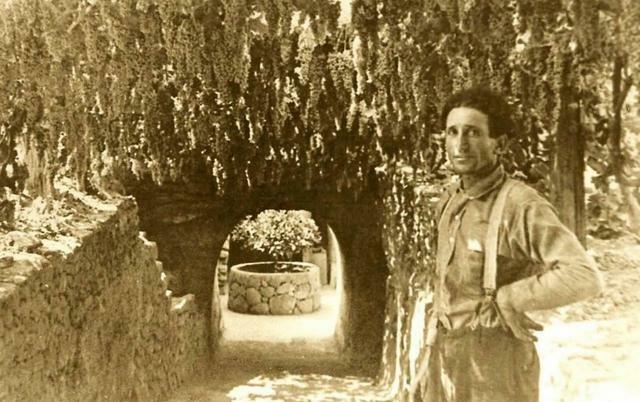 His home, today called Forestiere Underground Gardens, was designated as a historical landmark. It draws tourists from around the world to see the creation of the dreamer who once thought his life a failure. Architects have called it a work of idiosyncratic genius. 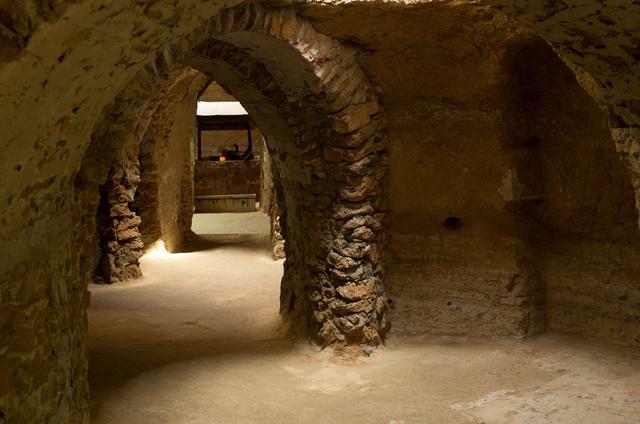 See a series of images from Forestiere Underground Gardens below. He planted a variety of fruit trees underground. 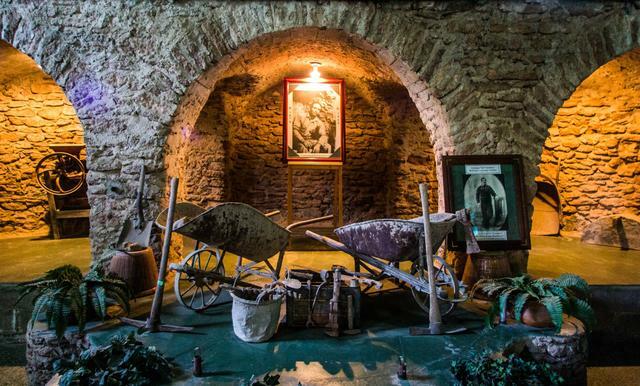 Forestiere carved the tunnels with simple farming tools like shovels, pick axes, and wheelbarrows. Despite being underground, the caverns bring in plenty of natural light. 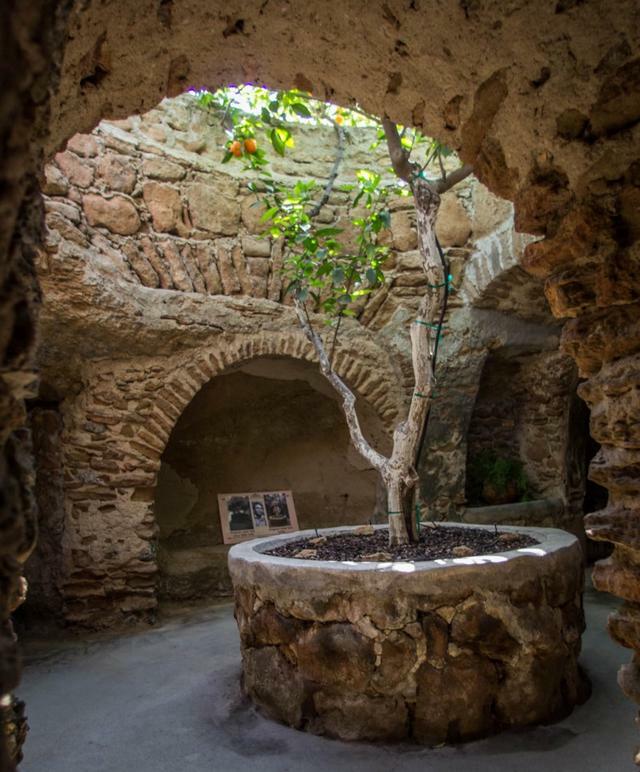 Fresno’s Forestiere Underground Gardens is today a tourist destination. Temperatures in the refuge are a refreshing 20 degrees cooler than outside.